Technical Car Experts Answers everything you need: Dyson Vacuum brush will not engage? Dyson Vacuum brush will not engage? 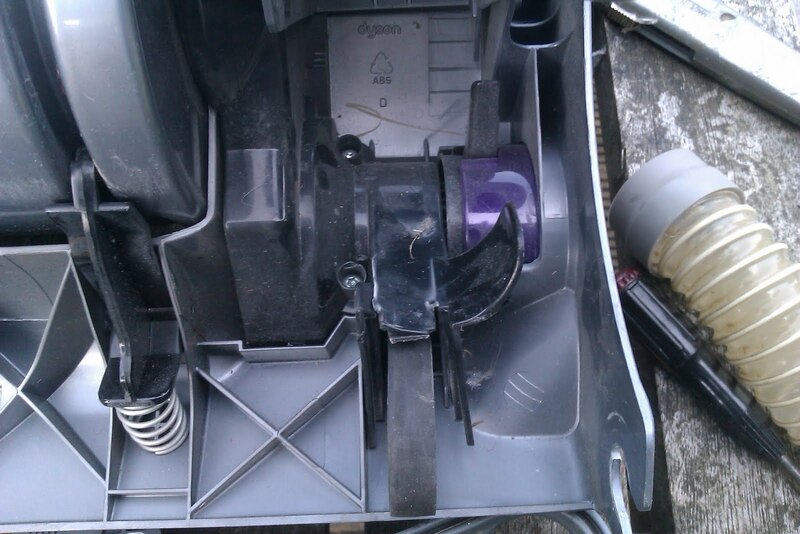 The brush on the Dyson vacuum normally engages when you put the handle in a working position and turn the power on. Plug the Dyson vacuum power cord into an electrical outlet. Press the foot pedal at the rear base of the unit with your foot to release the handle. Hold the the handle down in a comfortable working position. Push the on/off button below the handle grip with your finger. There are two buttons side-by-side. The "on/off" button is the wider of the two. Press the smaller button next to the "on/off" button if the brush does not engage automatically. When cleaning wood floors, press the smaller brush button again to disengage the brush roller. I've noticed that the beater function often does not engage. The beater is the rotating bar of brushes that agitates the carpet. Most upright vacuum cleaners have this feature. 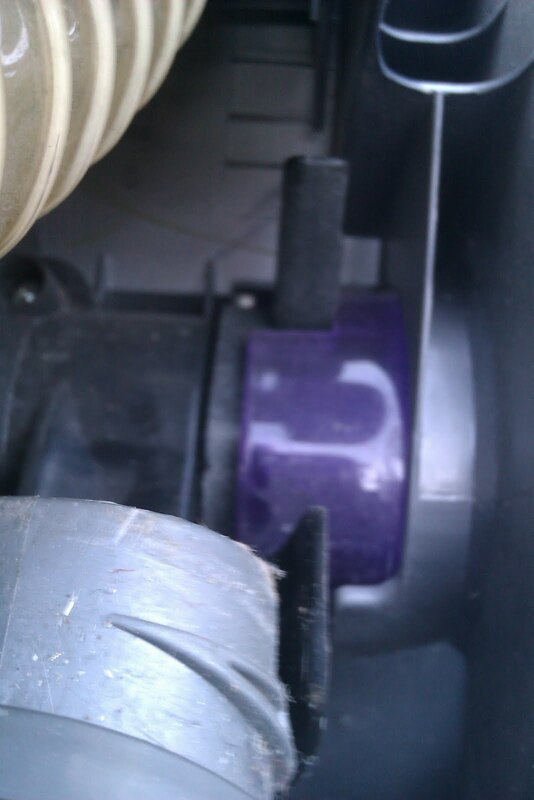 on the Dyson it is enabled by rotating a large purple dial on the front left of the suction assembly. The idea is that you disable it for vacuming hard floors, but enable it for carpets. Even turning it forward did not always engage the beater/brush bar. I decided to take the cleaner apart to see what might be the problem. First I needed to remove the lower plate. This is held in place by 3 twist fastenings which can be undone with a coin. Once the plate is removed you can see the brush beater bar. 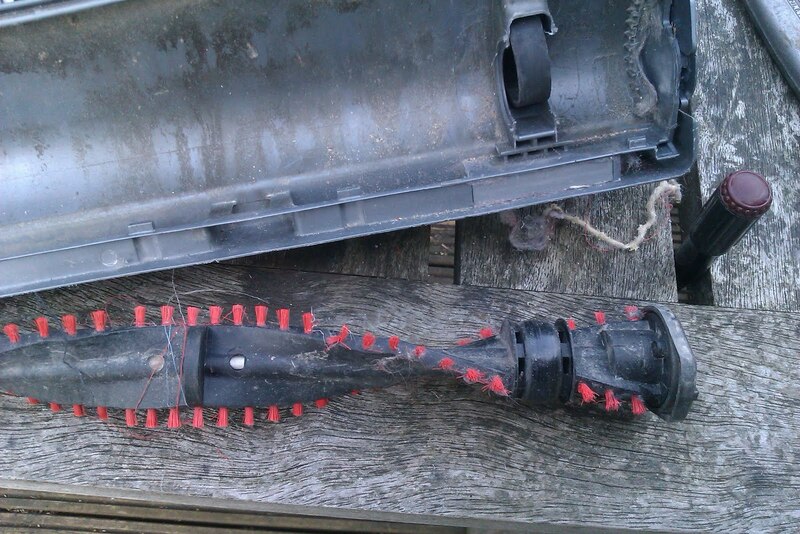 You can see that the beater brush device gets en-wrapped with hair, string and anything that is long and thin. I routinely run a sharp knife along the edge to cut through all the hair and string to easily remove it. 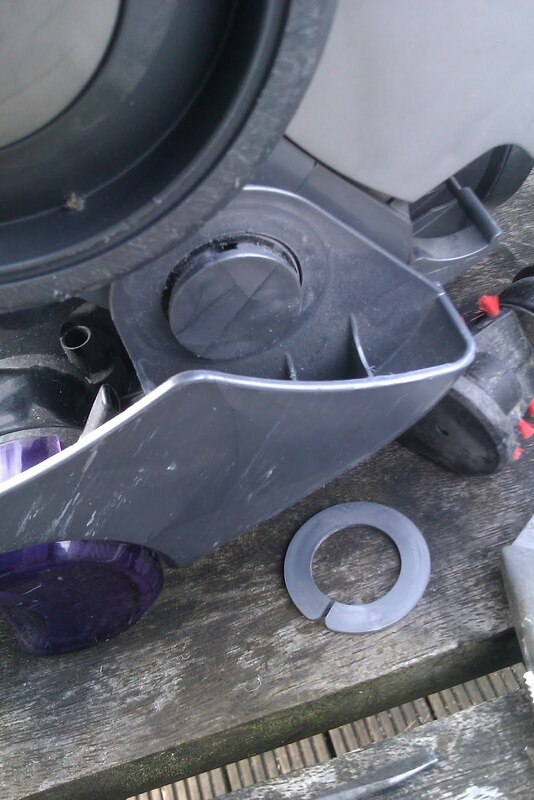 You can see on the right that the rubber drive belt emerges through a plastic housing before passing around the beater. You can also see that I have disconnected the suction hose. 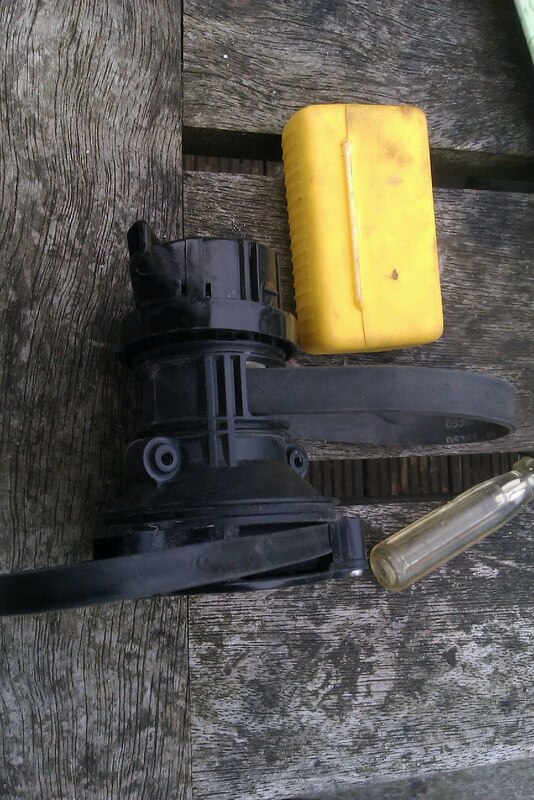 this is the white plastic hose which provides suction to the beater enclosure. It screws into place, it's wire bracing spiral providing a simple screw thread.Here you can see the purple beater selector knob. It controls a clutch mechanism. 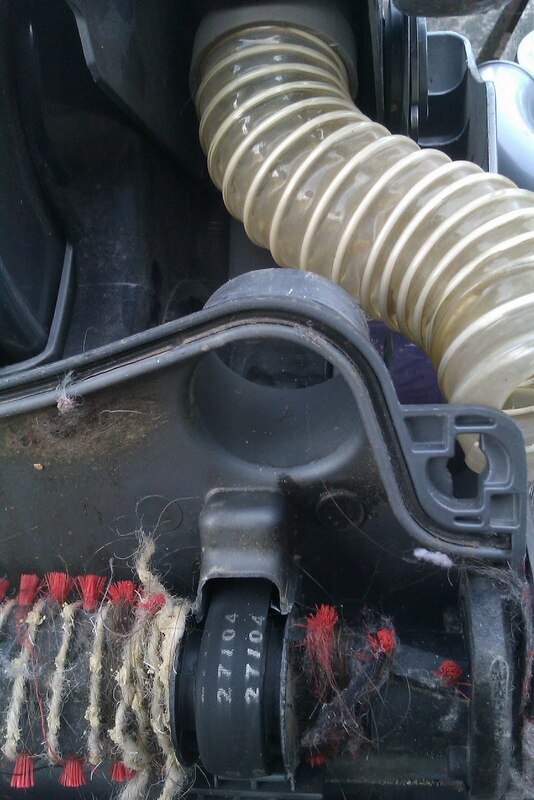 the vacuum cleaners motor drives one belt to a clutch unit, which then drives the beater via a second belt. the selector knob engages or disengages the clutch. next I removed the beater bar by stretching the rubber band on levering the bar out. You can see the belt still in place. e by two three-quarters circular fittings on either side. this then means you have very easy access to the clutch mechanism. 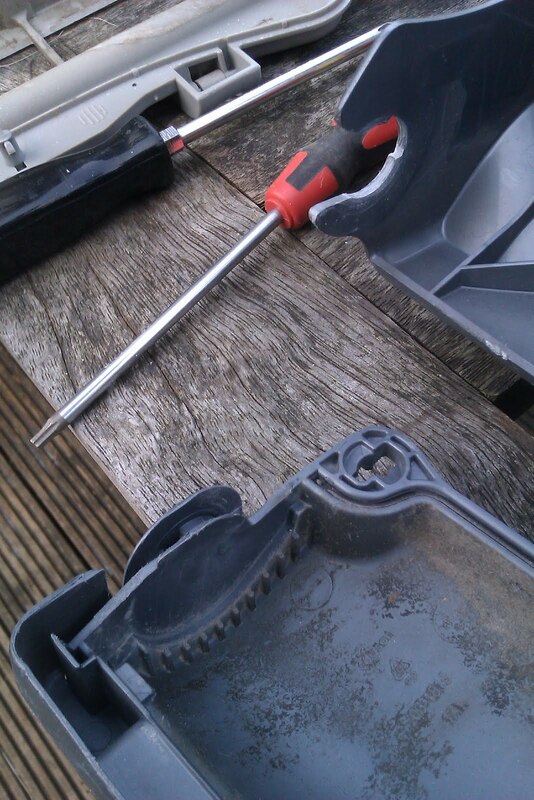 It's held in place by 3 Torx T10 screws and this requires a long necked T10 torx screw driver to access these . One is down a long tube, so a driver with replaceable bits will be too fat. I used a Stanley 67-494 driver. Once out I examined the clutch mechanism. Other than some slight wear to the plastic "click" cam it seemed OK. However both belts seemed extremely shiny on the side which engaged with the clutch. With some fiddling I was able to flip both belts around so that the unworn outside edge was facing inward. 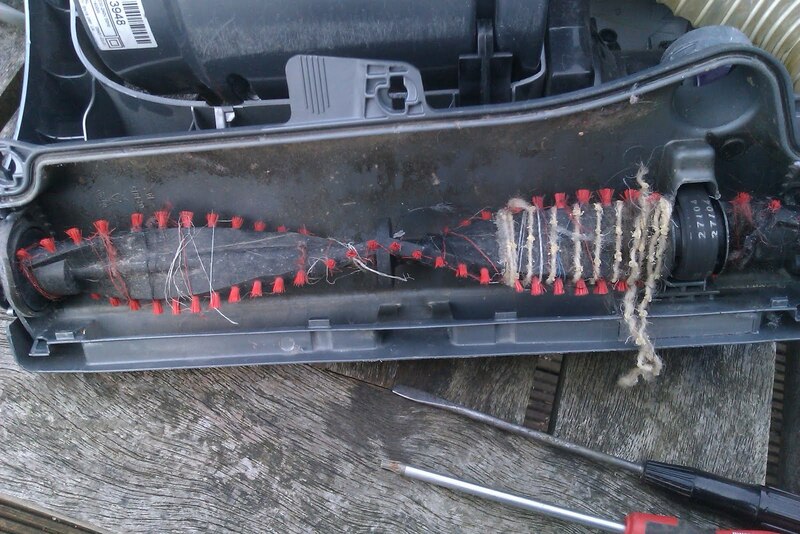 I did this by twisting the belt and carefully feeding the twist back through the clutch. I reversed the above steps to put the cleaner back together. The clutch seems to work again. If I slip the purple knob forward into the carpeted position the beater engages immediately. Before it would need further pressure and would not always start. I think the problem is due to belt wear, so inverting the two belts has fixed that. I'm not sure that these belts are easily replaceable without a completely new clutch assembly. There appears no way to extract them from the clutch unit. Labels: Dyson Vacuum brush will not engage.